These new pouches have a velcro backing and dynamic straps that keep your pouch secure in the rough going...BUT, it can be removed and replaced in mere seconds. 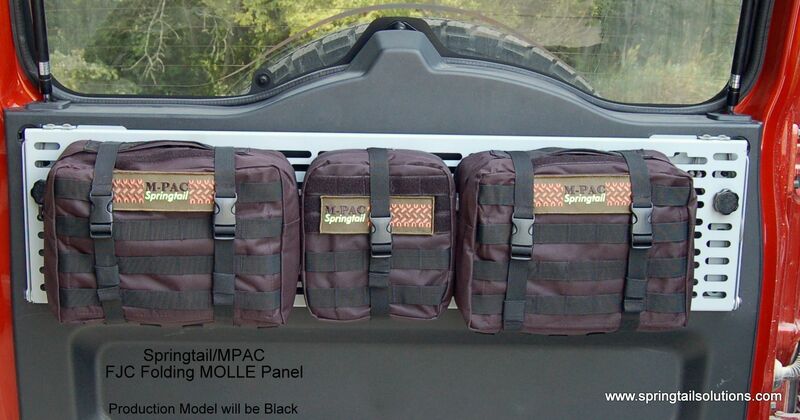 You can't do that with standard MOLLE!! 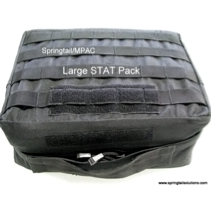 A good example is our improved large pouch for the M-PAC Rack, it is large in stature and tough as nails. 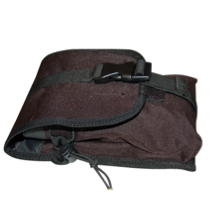 It is constructed of our water resistant 600 denier nylon and in addition to a large central area inside, we have placed 2 large open pockets on one side for smaller items. 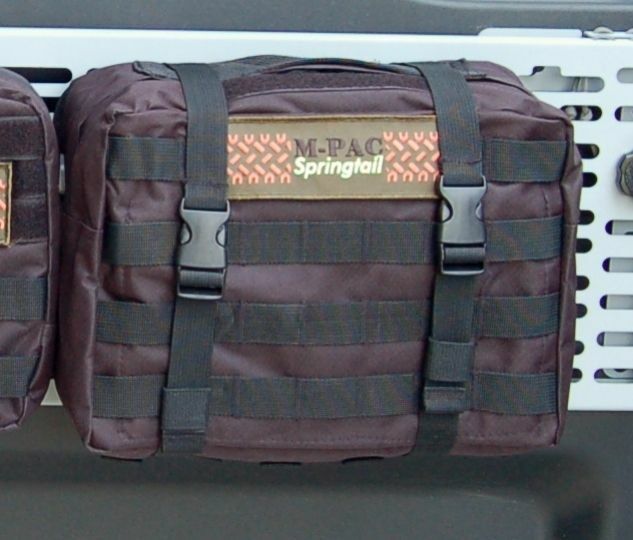 We also have included a shoulder strap for ease of transport and MOLLE compatible loops so you can customize the exterior with smaller pouches or knife scabbards. I've got 2 of these and they area great. The size is nice for a lot of things and I love the quick release setup with the straps and panel.